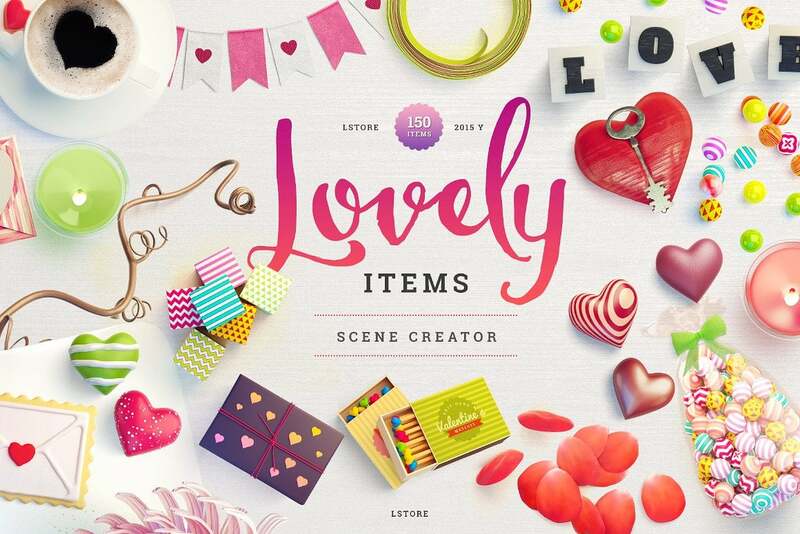 This great pack for creating Lovely Scenes is generously provided by Ruslan Latypov – talented artist and designer. 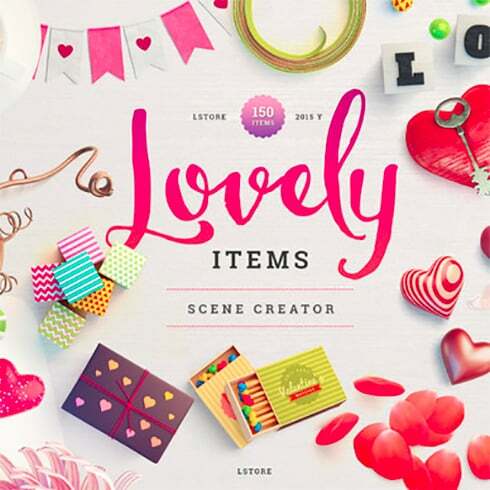 With 160+items you can create unlimited variations of header/hero images. Every item was modeled, textured, rendered and retouched. Layered shadow in multiply mode for realistic view. Very handy and easy to use. 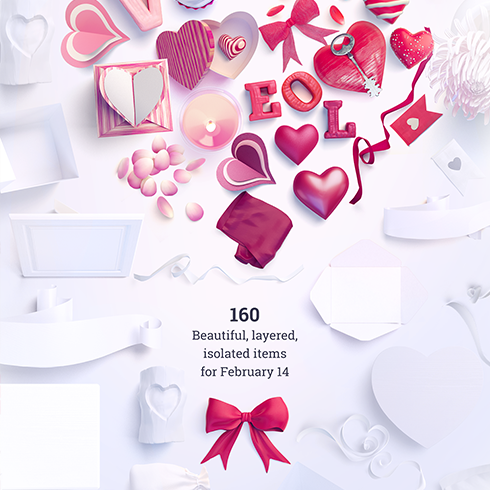 Contains different postcards, valentine’s cards, pockets, valentine’s hearts, flowers, 3d typography, keys, candies, candles, plates, matches, bows, ribbons, cookies and many other items. IMPORTANT: This file is over 1Gb, make sure you have stable broadband connection.